Picture this: after slogging through a grueling race, pushing past all obstacles and winning hands down, you gratefully step to the podium to accept your medal (and the prize money that goes with it). 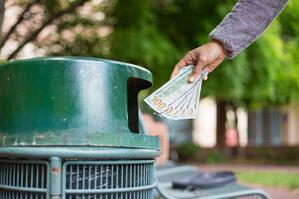 Instead of heading to the bank to deposit it though, you casually toss it into the trash on your way to the parking lot. 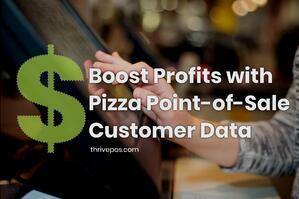 That may seem a little far-fetched, but if you are not leveraging the data from your pizza POS technology, you are literally throwing away potential profits. If it’s any comfort, you are not alone because it has been reported that as much as 73% of all the data that companies capture about customer buying trends goes unused. Companies big and small spend all that money and time gathering info, and then are either too overwhelmed to use it, don’t understand it, or simply don’t have an actionable plan that builds on their investment. Data can be pure gold. Provided, that is, you use it to create usable insights to drive your sales. After all, what good is knowing so much about your customer you can practically predict their shoe size, if you never use it to increase your revenues? If any of this this sounds daunting, you should know that using your captured data to increase your profits does not have to be hard. As you probably know, most pizza chains make the bulk of their sales on the weekend, with Tuesdays and Wednesdays being the slowest days. Even a slight uptick in sales mid-week then, can dramatically increase your ROI over time. But how do you lure in those hungry, hungry pizza fans? Pizza POS driven coupons, of course. Coupons based on real-world sales data can create a powerful motivator for customers to keep your cash register singing. For example, consider generating a coupon for a free 2-liter drink when someone buys 2 large pies during the week. This form of loyalty marketing is both cost effective and proven to increase traffic. Of course, you will need to tailor your offers to what your customers want. You can combine coupons with digital check-ins, create combo package deals, pizza-by-the-slice offers, or add unique limited-time specialty items such as dessert pizzas. 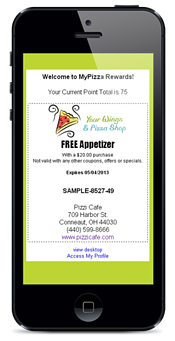 A robust pizza POS system is key here because it allows you to customize coupons for regular customers. If, for example, Adam orders hot-wings, you can send him an email with an enticing coupon for a free item if he orders again within 10 days. The offer should be relevant to his ordering preferences, such as offering a free cheese-bread combo with wings or offering a discount if he tries the garlic chicken wings. Chances are, he will also like the related offerings, expanding his palate and your bottom line all at once. In short, when combined with insights, customized offers based on pizza POS systems can (pardon the pun) really deliver. Victoria Cayce is a highly-accomplished Texas-based blogger, copywriter and a regular Thrive Pizza Blog contributor.